“Builder” – Ensembles – Download – Symphony. 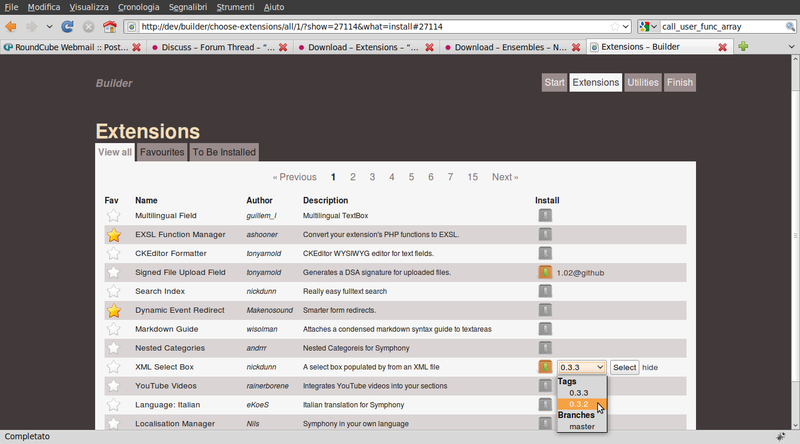 Build new Symphony projects with ease. The workspace of this ensemble is available on github (http://github.com/alpacaaa/builder-workspace).